Nice family guest-house in a quiet part of Veselí nad Moravou. The entire guest-house is a non-smoking building, including a wine bar located on the ground floor of the guest-house. 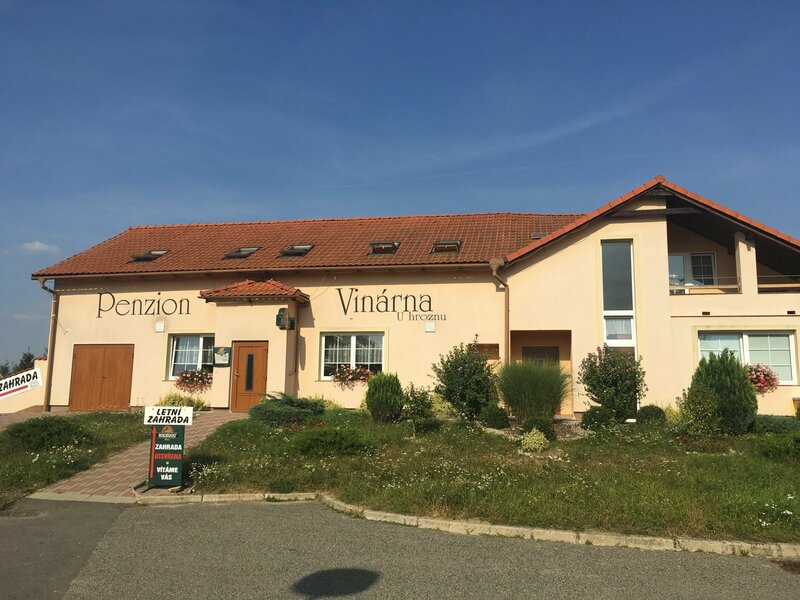 The guest-house is located in close proximity to the VINAŘ 47 wine cycling route. Possibility to store bikes in a cycle store, motorbikes can be stored in the garden. WIFI is free in the whole building. Free private parking. Double-bedded rooms with possibility of extra bed. All rooms have a private bathroom with a toilet, the rooms are equipped with TV and free internet - WIFI. The rooms are double-bedded with possibility of extra bed. All rooms are non-smoking. It is possible to order an accommodation with breakfast included. Non-smoking wine bar with comfortable seating. 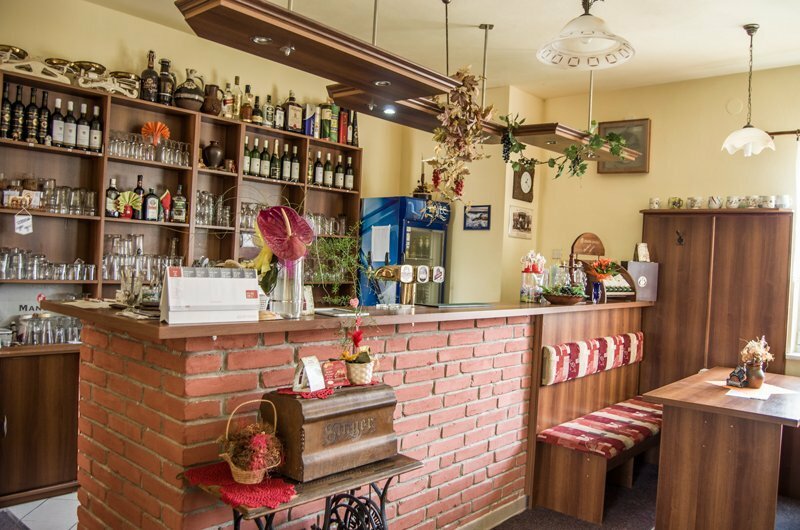 In the ground floor of the guest-house there is a typical South Moravian wine bar providing refreshments and pleasant seating to the guests. Breakfasts are served here for accommodated guests. Different family celebrations or meetings can be organized in the wine bar all the year round. Besides, the wine bar provides excellent wine from local wine yards, beer, non-alcoholic drinks of all kinds and Italian pizza to the guests. The wine bar is non-smoking as well. The outdoor garden with a playground and a trampoline. The seating is shield by large umbrellas against sun and rain. The outdoor garden is used as the guest-house guests, as passing cyclists from the wine cycling route. 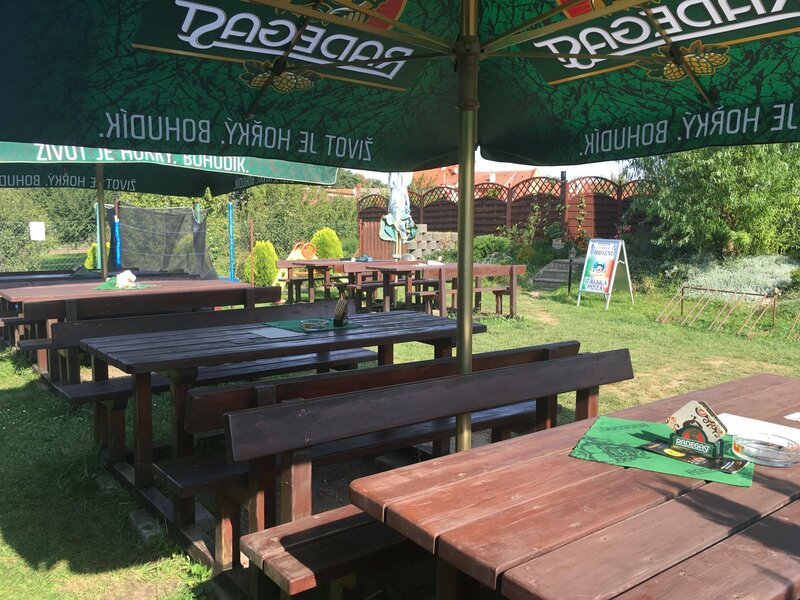 The outdoor garden is suitable for families with children. Children can use the sandpit, trampoline or plastic playhouse. Both the outdoor garden, and the whole guest-house are located in a quiet zone next to a garden colony.